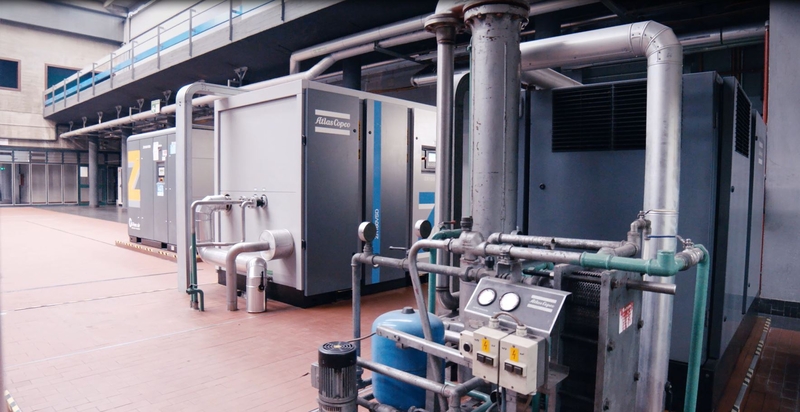 The new Atlas Copco compressor, thanks to its innovative technology, allows to reduce energy consumption by up to 35% at the Birra Peroni plant in Padua. 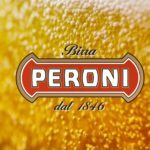 Birra Peroni was able to test the reliability of the latest version of the “oil free” compressor for a few months before being launched on the market. The new Atlas Copco oil free compressor reduces energy consumption by up to 35%, thanks to the dual motor configuration with an intelligent control algorithm that allows both elements to operate at different speeds.The new compressor is in fact equipped with two high-efficiency permanent magnet motors and incorporates the most sophisticated VSD technology (Variable Speed Drive). The Birra Peroni plant in Padua, which uses Atlas Copco oil free air compressors for around thirty years, is testing the new compressor in a world premiere. 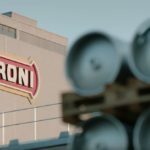 Birra Peroni has been producing Italian beer since 1846 with three production plants: in Rome, Bari and Padua for a total of five million hectoliters of beer a year, over one million of which are exported. 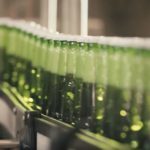 The basic ingredients for making beer are water and barley, but also a great use of compressed air is necessary at all stages, from brewing to bottling. The compressed air is in fact the energy vector used to feed the valve actuators, to push thresheds, powders and exhausted flours, to operate the pistons in the bottling area, to eliminate CO2 from the tanks before bottling, to shake the bag filters eliminating the powders. The presence of residual oil vapors in these phases risks contaminating the finished product and the bottles, compromising the quality of the beverage that goes on sale. Therefore, to guarantee quality beer, it is essential to use clean air, that is air without any oil vapor, that can be found in food and beverages as residues of production processes. The use of energy-efficient compressors is also important: in the industrial sector, around 11% of electricity consumption is attributable to compressed air, with an incidence of energy consumption that can represent more than 30% of the electricity consumed by a company. Atlas Copco oil free compressor, installed in the Birra Peroni plant. «Compressed air is a science for Atlas Copco, and the technology of this new compressor demonstrates this: by adjusting the output airflow according to actual needs, the ZR 90-160 VSD + compressor significantly reduces energy consumption, costs and environmental impact», says Jeroen Hoen, Product Manager Oil-Free Compressors. «The water-cooled internal permanent magnet motors with IP66 rating, designed for maximum efficiency and reliability, contain oil-lubricated bearings for long life without maintenance. In addition, all the parties involved in maintenance are grouped together to ensure maximum ease of access and minimum maintenance times». 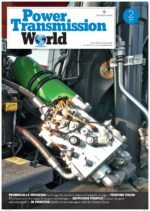 Atlas Copco is a world-leading provider of sustainable productivity solutions. The Group serves customers through its innovative compressors, vacuum solutions, generators, pumps, power tools and assembly systems. 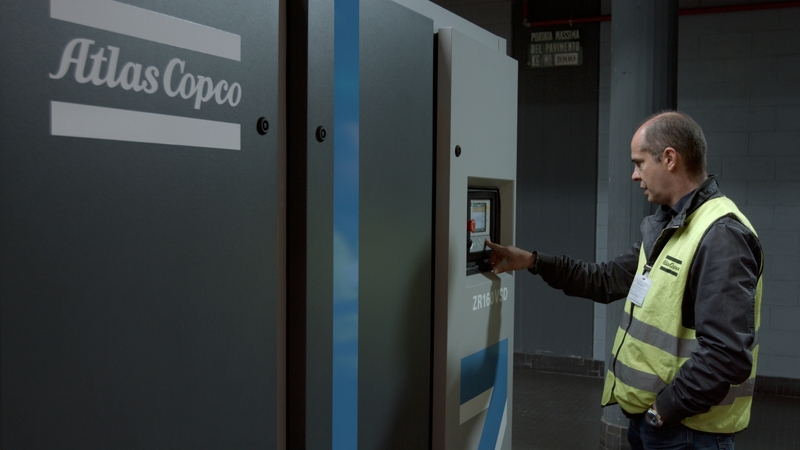 Atlas Copco develops products and services focused on productivity, energy efficiency, safety and ergonomics. The company was founded in 1873, is based in Stockholm, Sweden, and has a global reach spanning more than 180 countries. In 2017, Atlas Copco had revenues of BSEK 86 (BEUR 9) and about 34 000 employees. Learn more at www.atlascopcogroup.com. Atlas Copco’s Compressor Technique business area provides compressed air solutions; industrial compressors, gas and process compressors and expanders, air and gas treatment equipment and air management systems. The business area has a global service network and innovates for sustainable productivity in the manufacturing, oil and gas, and process industries. Principal product development and manufacturing units are located in Belgium, the United States, China, India, Germany and Italy.